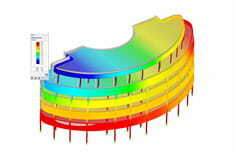 Is it possible to model linear bearings in RSTAB, in order to For example, to simulate a linear foundation under a beam? The function "bar bedding" allows elastic storage of a rod in its entire length. 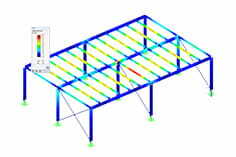 Thus, for example, foundation beams can be modeled by recording the ground properties. If the bedding is not effective under tensile or compressive stresses, the non-linear effects can be taken into account in the calculation.